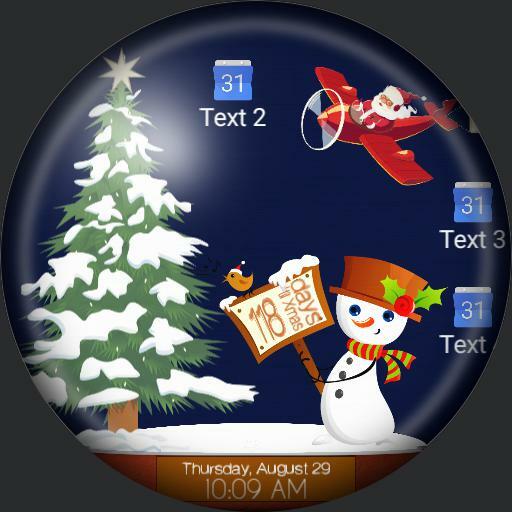 An interactive Snowglobe that snows on gyro movement. The tree lights up with battery status low/charging, and Santa flies though the sky with a complication of your choice, or your next event. Updated tapping on the snowman will call tasker and look for a "Snowman" task mine opens up my phones music and starts a Christmas song.